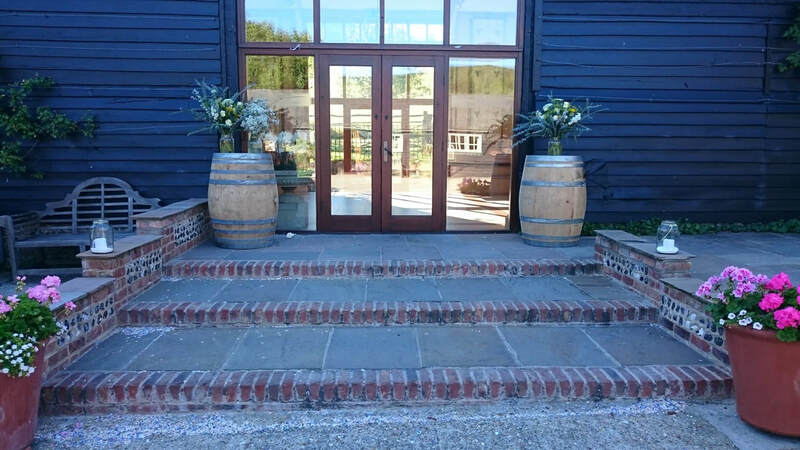 We hire authentic full sized French oak wine barrels that we have used ourselves to make English wine in (empty of course!). These make perfect attractive additions to parties, weddings and events. They make great tables, bar supports, features, barriers/guides in fact anything that needs something just that bit different! Excellent for use in Film Sets, Pirate, Wild West, Country & Western, Amateur Dramatics, boating, smugglers or just a rustic look! your imagination is the only limitation. We offer a specialised tailored service for Film and theatrical customers, please enquire for details. Delivery can be arranged nationally priced from and return to Portsmouth, Hampshire.